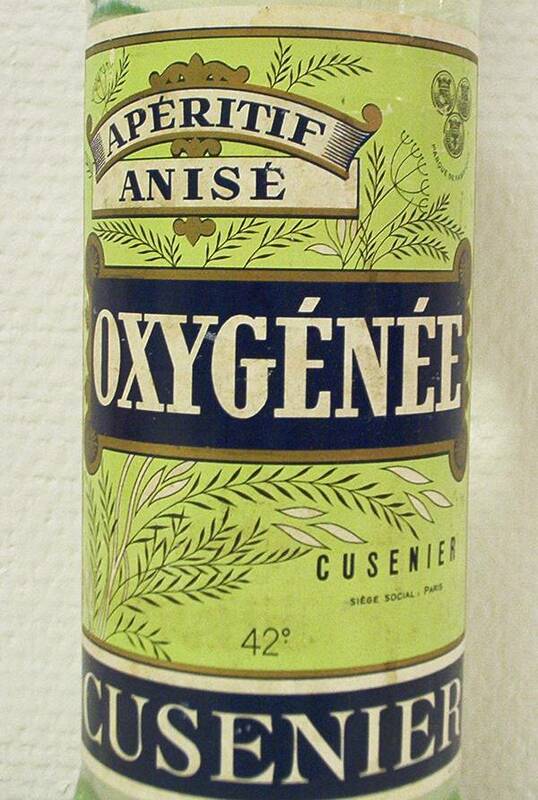 I recently purchased a full bottle of the Oxygénée Anisé Aperitif from around 1960. Even though I know, from previous sampling that this is not a very good drink, it was nice to find and add to the collection. This is why I have updated this with new photos. The review, below, is the same as before. First of all, the Oxygénée Anise is not an absinthe. 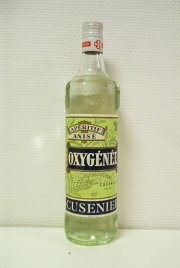 It is an anise substitute produced by Cusenier after the ban of absinthe in France. It is totally clear, and smells heavily of anise. The anise smell is so dominant that I found it very hard to detect anything else. Tasting it neat gave a very distinct anise flavour mixed with a rather smooth light burn from the lower alcohol level. But there is nothing else there. Adding water to it, produces a nice enough louche, but the drink itself is still not very good. It is a shame that a brand known for its exquisite absinthe, turns to this. The modern Oxygénée "absinthe" (discontinued in 2001) is actually, to me, a much nicer drink than this Oxygénée Anise. I only wish I would some day get the chance to taste the true Oxygénée Absinthe Hygienique.